Usual Disclaimer: I don’t know these people, I have no special knowledge, this is just how it appears to me based on the commonly accepted version. You know the butterfly theory? That anything can happen because of one little unrelated change? Well, it’s easy to look at history that way too. Those little moments when the world was turning and it could go one way or the other based on the actions and reactions of one person. Sanjay Dutt’s arrest and what his father had to do to get him out is one of those moments. 1994 was a turning point in India. The BJP and their affiliated local parties had been working away at Congress for years, using the Ayodhya issue as leverage. Once Ayodhya was destroyed, and the riots ran through the country, there was this moment when the tide started to turn. Sympathy sprang up through out the country for the Muslim minority, and there was shock at what the Hindutvas had done. Congress was failing too, they hadn’t stopped the riots soon enough, they didn’t seem to know how to act or what to do, they felt leaderless. And in that void, Sunil Dutt stepped forward. He had been a loyal Congress worker for most of his life, but he was also known as an honest independent man. And he led the charge critiquing Congress for how they had behaved, what they had failed to do. For a brief moment, it appeared that Sunil Dutt, and others like him, might take the country in a new direction. 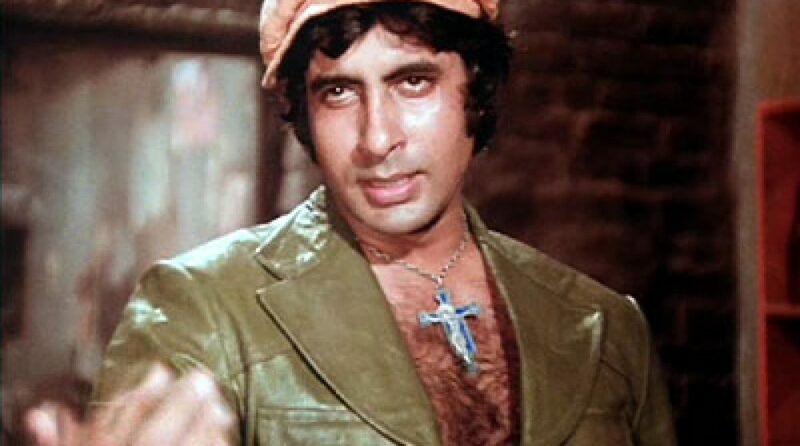 Might at least take his city of Bombay in a new direction. And then two things happened. First the bomb blasts, suddenly turning the Muslim community from an oppressed minority worthy of sympathy and pity into an evil “other”. And second, the arrest of Sanjay Dutt. Sanjay’s arrest was a double explosion. The original arrest, besmirching the one honest man in Bombay politics with an accusation against his only son of terrorism. And then what Sunil had to do to get him out. Sunil was a great man, a man who could have been much more, who could have given the country much more. But Sanjay left him open to attack, hobbled him, destroyed his possible future and the possible future he could have given to the country and his city. Sunil did what he had to do, once the wheels of fate had ground into a new path, but it was Sanjay that served as the lever that turned those wheels. His arrest was a tragedy for himself, but it was also a tragedy for the world. There were so many things that had to happen to lead to this result. Sanjay being arrested under TADA was the first. Followed by Sunil faithfully making the rounds of his old friends, trying every regular means for support, and being turned down. The political world abandoned him for his “disloyalty” and his current toxic state. 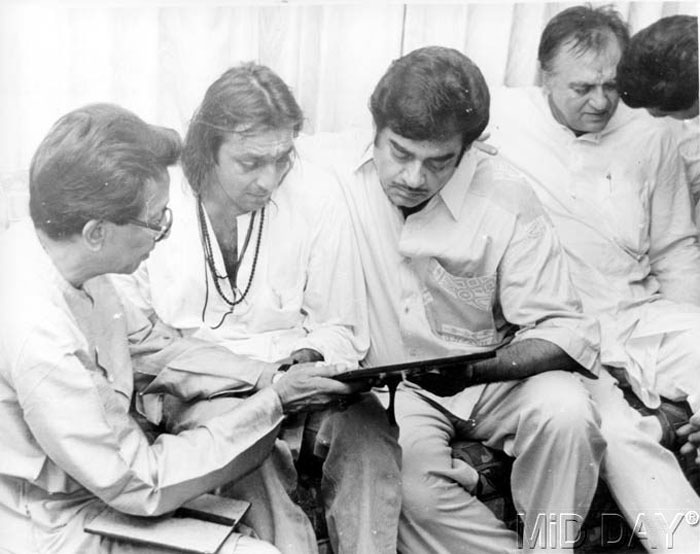 The film world was a little more faithful, Dilip Kumar to Shatrughan Sinha, there were those who lined up behind him, just as they did straight through to today for his son. But it wasn’t enough. He needed someone with a power in the government to help him. Sunil wasn’t asking for political favors, for anything more than a statement of support. Sanjay had been charged and was being kept in prison on the weakest of evidence, he just wanted someone to say that Sanjay deserved bail. And no one was willing to do even that much. Sunil tried all his political friends, and then he tried his friendly enemies, and finally he had no other choice but to make a deal with the devil. Bal Thackeray was a cartoonist and a union organizer in the 60s and 70s Bombay. During that time there was a sudden building boom and the population of the city exploded. It had always been a multi-ethnic city, but more and more the “native” (I put “native” in quotes since most of the city had been built post-colonialism, it was always an international city without a true “native” population) Maharashtrian workers were being pushed out. Bal’s union activities slowly began to morph into pro-Maharashtrian activities. And from there, as the 1980s saw a rise in the Hindutva spirit, to pro-Hindu. The group he founded, the Shiv Sena, was an army trained and organized for violence against those they saw as the enemy. After the riots were over, a commission was formed to investigate them and make recommendations. In 1996, after they had been elected to power, the Shiv Sena tried to kill the commission but bowed to public pressure and kept it going. The commission finally finished its investigations and presented its report in 1998. The report confirmed what many people already knew or suspected. The commission’s report was submitted in to a Sena-BJP government. And immediately rejected by the government as “biased”, the cause of the riots instead declared to be frustration at Muslims for obstructing streets while praying, using loudspeakers for the Namaaz, getting subsidies for going on Haj, and various other issues, all of which spontaneously inspired hatred within Hindus leading to the riots. The report was kept secret, buried. In the end only 3 men were charged for crimes related to the riots. Two Shiv Sena workers and one Shiv Sena elected official, convicted of hate speech and sentenced to one year in prison. 900 people dead, thousand of pages of evidence of crimes collected by a government commission, not a single person ever arrested for it. To this day. Maybe the stories pointing towards the Shiv Sena having coordinated the attacks, to Bal controlling the rioters and the police, were exaggerated, maybe they were just saying what people wanted them to say. But Bal’s own writing and speeches are riddled with hate speech directed towards the Muslim community. He was everything that loving fair careful peaceful Sunil spent his career fighting against. But Bal ran the city and everyone knew it. And they also knew that he was surprisingly generous to those who asked for his help. He was perfectly capable of attacking you in public, and supporting you in private. And so with no other choice, with Sanjay’s situation getting more desperate by the day, Sunil was left to choose between his political beliefs and his son’s life. And, one last time, Sunil chose to stay by his son. Rumor has it that Bal and Sunil struck a deal, Bal would publicly support Sanjay and help him get out if Sunil promised not to stand for elections again. This may or may not be true, but it is true that Bal got a photo op out of it and the public gratitude of the Dutt family. Sunil’s reputation among his followers was tarnished whether he ran again or not. He went from the secular man who owed nothing to no one and was not afraid to speak the truth, to an old man who owed Bal for his son’s life and everyone knew it. Sunil didn’t stand for elections for 3 years. During that time his constituency of 1 million voters was turned over to a Shiv Sena candidate. He finally returned to politics in 1999, to be succeeded by his daughter Priya in his old constituency after his death. The Dutt family lost it again in 2014 when the BJP swept the country. There are a lot of moments between Sunil bringing Sanjay from jail to touch Bal’s feet to Karan Johar issuing an apology and promising to donate money to the army merely for the “sin” of hiring a Pakistani actor. But Sunil was one of the pillars holding back the flood. Once he fell, it was a little easier for all the others to come tumbling down. If even Sunil Dutt couldn’t hold out, why should us poor lessor humans even bother? Easier to take your medicine, to give in, to accept the blame and not bother to fight back. 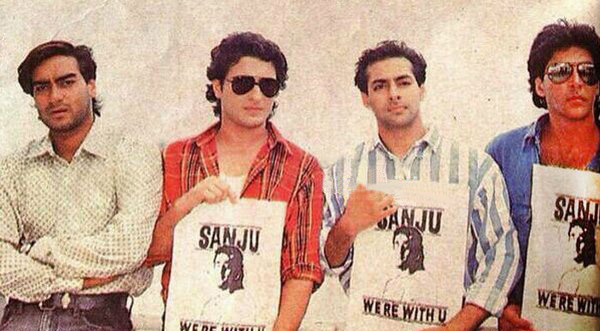 That, to me, is the real tragedy of Sanjay Dutt’s first imprisonment, the lasting tragedy. Sanjay had a rough few months. His family and friends did too, and worried about him. But in the long run none of that matters as much as Sunil Dutt, the strongest man in the film industry, the leader and guide, bending and breaking. That is what Sanjay should feel guilty for, if nothing else. That he left his father open to attack, drove him to give up, and permanently damaged the freedom of the city where he made his home, and the free speech of the industry where Sanjay worked. That Sanjay was the one small thing that changed the course of a city. That Sanjay’s life was weighed against 900 riot victims, and they lost while Sanjay won. I don’t anticipate Sanju the film to tell this story. The director and star have both been threatened by the Shiv Sena before, I doubt they will risk another battle by presenting Sunil’s downfall in front of Bal as anything less than a triumph of Bal’s generosity and charity, if it is acknowledged at all. But this is the story and the legend that has been told over and over again among those who mourn the cosmopolitan open Bombay that used to exist, Sunil Dutt could have saved the city, but Sanjay weakened him and instead he bowed the forces that sought to destroy it. This entry was posted in Hindi Film 101 and tagged Bal Thackeray, Hindi Film 101, Sanjay Dutt, Sunil Dutt by mredlich21. Bookmark the permalink.